The adoption of children or the permanent transfer of parental responsibility to one parent. If a child is the defendant in a criminal case that has come to court. When parents are divorcing and can’t on their own decide who should have custody of their children. If social services have asked the courts to place any children in their care and are requesting a supervision order or a care order. If a child is needed as a witness in a criminal case. 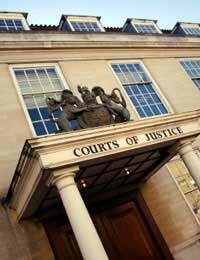 The family court usually deals with any events that involve whole families. The family court usually sits in private with the media banned from attending these hearings. If your family is about to go to court as victims of a crime you can get support from Victim Support that can help you through the court experience and provide help after your court appearance is over. You can contact their national centre by telephoning: 020 7735 9166. As attending court can be a stressful experience for families, but especially very young children, CAFCASS (Children and Family Court Advisory and Support Service) was set up to help families in this situation. The people that work for CAFCASS are qualified social workers and can help your family through the court proceedings you are facing. CAFCASS may appoint what is called a Children’s Guardian who will focus on the best interests of the child in a court case. A good example of when a Children’s Guardian would be appointed is if you are going to course because of a divorce in which the arrangement for the care of your children is being contested. In England and Wales a child is legally responsible for their actions after the age of 10. Young offenders are defined as anyone between 10 and 18 years of age. Cases that come to court will usually be heard in your local magistrate’s court, but your family’s case could go to the Crown Court if this is recommended by the magistrate who may want to impose a longer sentence than they are able to. The youth court operates like any of the other courts in the UK, but the magistrate that presides over the case has had special training to help them handle young children. The youth court is however different in that it has no public gallery. Only the family of the young offender and those connected to the case can enter the court. The press are allowed into the court, but they have strict restrictions about what they can report about your children and the rest of your family. Your child could be called as a witness in a criminal case if the police and the CPS (Crown Prosecution Service) that will have decided that the case should go to court need your child to give evidence. Very young children who are needed as witnesses can sometimes give their evidence via a video link. The members of the court may also not wear their usual gowns and wigs, as this could be intimidating for your child. The court can be a threatening place for children. If your children do have to attend a court case it’s a good idea to try and visit the court before your case is due to be heard. Court visits can be organised with the court itself and are a good way of relieving some of the stress that particularly young children can often feel. For whatever reason members of your family find themselves in court always remember that you are not alone. Use the organisations that exist to support families who have to go to court. Try and find out as much as you can about your case and the court where it will be heard. The more you know the less stressful the experience will be for you and your family. You can see more about your rights regarding adoption here which is effectively giving up your parental responsibility for your child. However, if you are fighting against a legal order of adoption, then you would have to seek legal advice.